This is my Austin Tilly based on the Tamiya kit. The figures are from Accurate Armour and just for scale, the base is a generic one for the pics from SB models. 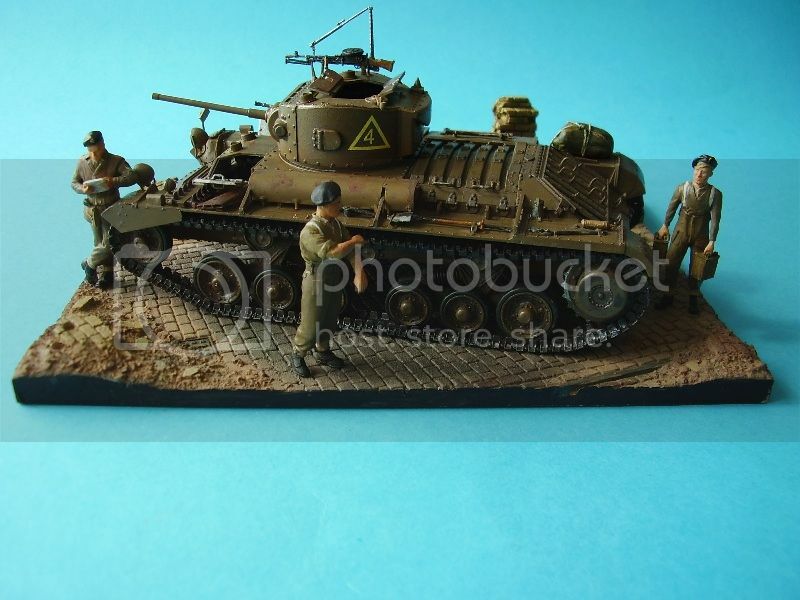 It represents a vehicle form Headquarters 6th Armoured Division, in the UK between October1940 and April 1942. Nifty Valentine. Which kit is it, and did you use any AM stuff? Whose cobblestone base?